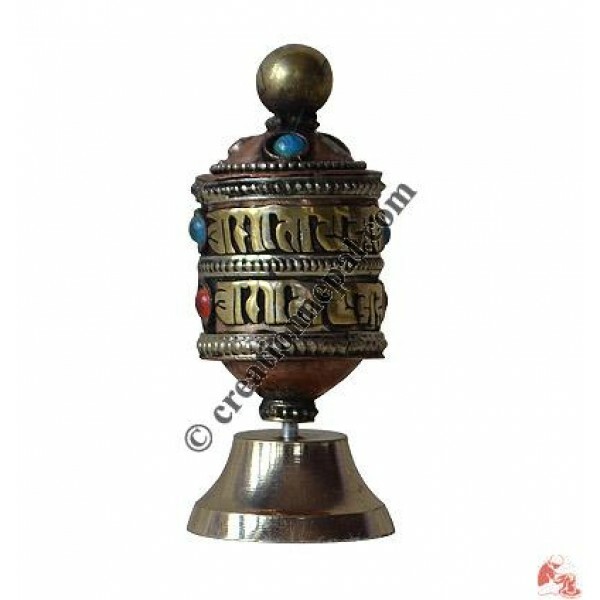 Tiny size portable table-stand design brass prayer wheel, suitable to carry in purse and easy to use as per ones requirement. This tiny item is designed for all types of prayers; put on the table, catch the top and spin or hold the base by left hand and spin using its top by right hand. Since the product is made of handmade nature, there can be slight variation in given detail.